Two Division III NCAA records fell this morning to close out the second preliminary session. In heat one, Benjamin Lin led off Williams’ relay with a 46.93 100 backstroke, breaking his own mark of 47.03 set in 2015. His splits were 22.51-24.42. He then handed off to teammates Jack Melnick, Timothy Kostolansky and Grant Johnson who combined for the tied-second seed in 3:16.26. The other team tied for second is the Kenyon group of Ben Baturka, Trevor Manz, Jonathon Zimdars and Weston Carpenter. Manz made up huge ground for the Lords in the breaststroke leg splitting a 53.94. But despite all this excitement, the true headline of the event was the new Division III NCAA record set by Sage Ono, Andrew Wilson, Mitchell Cooper and Trey Kolleck of Emory in heat three. Ono posted a respectable 48.20 to start things off followed by a typical Andrew Wilson show-stopping 51.91 100 breast. Mitchell Cooper then swam a 48.50 fly leg followed by Trey Kolleck with the third-fastest free split of the field in 44.35. 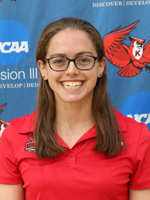 Other notable splits include Rowan’s Jesse Novak anchoring his relay in 43.57 and a 53.55 breaststroke leg from Washington University’s Michael Lagieski. The College of New Jersey will be the sixteenth seed at 3:20.36.